Kanto Chapter: Welcome party for new graduates! Hokkaido Chapter: Welcome party for new graduates! It will be connected all together! 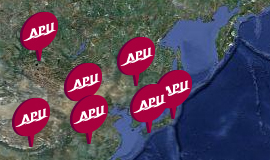 The link of APU has developed rapidly!